Evolution, Creation, Theistic Evolution, or Empirical Agnosticism? - READY... SET... QUESTION! When it comes to the origin of life’s biodiversity, some say there are only three camps, but in fact there are four; Evolution, Creation, Theistic Evolution, and Empirical Agnosticism. Yet, does anyone have a clear grasp of what they are standing up for or standing up against? Evolution is a word that most presuppose comprehension. When asked, an opinion is quickly shared and regrettably all parties involved tend to befuddle each other. If one were to claim our populace to have a good working definition of evolution and those who support or oppose its validity communicate from that same interpretation, they would be speaking erroneously. The same is true for Creationism… there are camps within the camps that further dissect ideas creating opposition between those who see their dissection as being most true. Yet, when it comes to the conversation surrounding the origins of the diverse life we see today, there is an unhealthy and smug arrogance in believing there is a correct explanation of origins. No matter if you find yourself in the evolution camp, the creationism camp, or the theistic evolution camp… you will not find a shred of empirical data that supports your camp or any camp’s best explanation for the emergence of new species. This conversation has been and is about that which cannot be observed, tested, replicated, nor verified. Can we truthfully speak of how life became so diverse in any way other than by acknowledging our inability to scientifically know? Will true innovators and scientific minds of the future continue spending time and tax dollars on touting inferred conclusions to the origin of life’s diversity? Will it someday be understood that, scientifically speaking, we will never know how biodiversity came into existence? 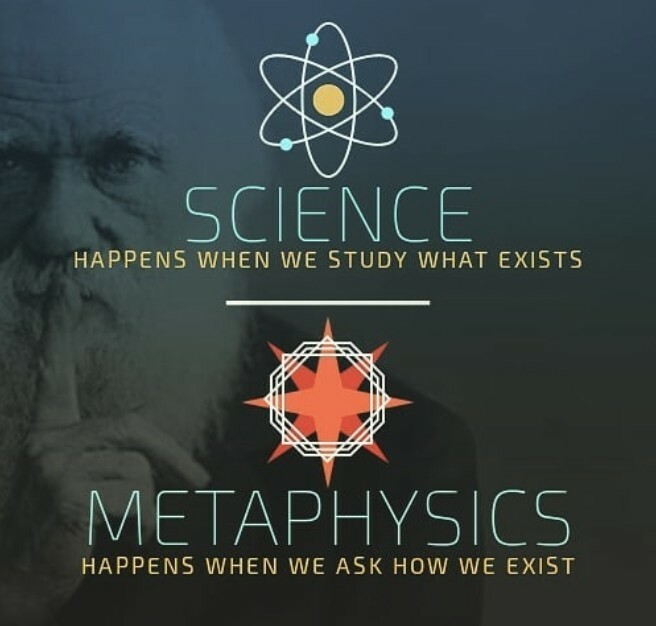 If we desire scientific breakthrough, innovation, and prosperity we must communicate true scientific “gnosis,” which is Greek for “knowledge.” To say we have gnosis, means we know. Inversely, our inability to know is called “agnosis.” When it comes to origins, what other approach is more logical and honest than to claim scientific agnosis? Our inability to know how all of the diverse species originated is not something to be ashamed of or afraid to admit. In fact, understanding that we don’t know furthers scientific investigation and protects us from becoming erroneously dogmatic. In this conversation of the emergence of diverse species, there are three main camps. Unfortunately, each camp has major assumptions about folks who are in a different camp and the assumptions quickly leave the realm of science and engage philosophy and theology. Case in point, anti-evolutionists are considered pro-creationists and therefore pro-theism, while anti-creationists are considered pro-evolution and anti-theistic, but then there are theistic evolutionists that are quickly considered non-scientific by the evolutionists and pro-evolutionists by the pro-creationists. We all have a smug arrogance at times and it is ridiculous. My question is simple. Is it possible there is another stance in addition to evolution, creation, and theistic evolution? Let’s be frank, if anyone from any camp could step up to the microphone with empirical data and put this debate to rest, they would have. None of these labels are both honest and honoring of science. Let’s be pro-science. When it comes to the debate at hand, I choose to be aligned with science because faith, inference, and extrapolation cannot be validated empirically. The next time you are asked to label yourself and/or choose a camp, call yourself an “Empirical Agnostic.” When it comes to the “How” of how we got here, scientifically it is impossible to know. Are you bold enough to join me in a new stance? My book, What Is Evolution? not only asks hard questions about the science of evolution, it also asks honest questions about labels and camps. Previous PostWhat is macroevolution?Next PostWhat is the science of evolution? I agree with your conclusion, that all three camps 1. have no conclusive evidence that they can share with other people, and 2. should consider being unsure instead of being sure of something that isn't sure. But I come to a different conclusion about what the path ahead should be. I think that because science is inadequate to prove anything for or against the supernatural, we need to rely on something more powerful than science to come to our decisions. I rely on two things. 1. Logic. 2. Faith. The logic comes in with my modified version of Pascal's Wager. If you don't remember it, it will never have mattered. So unless we have eternal life, it doesn't matter – nothing matters. And the most reasonable religion that promises eternal life is Christianity. So if I have to take a logical leap, that's the one that makes sense to me. The other thing that I use is faith. I trust people who have come before me. I trust those who say they are prophetic. I trust those who say they've seen miracles. To doubt everyone and everything means you can't do much science, because even in science, you have to trust those who are doing the experiments. You even have to trust your own records and memory are not faulty. So coming to a decision about how much faith you will use and on whom is very important. My favorite movie as a young adult was Babe, the Gallant Pig. I've been told, but haven't verified that the theme harkens back to Animal Farm. Being prejudice about people and ideas is not good and keeps us from good things.